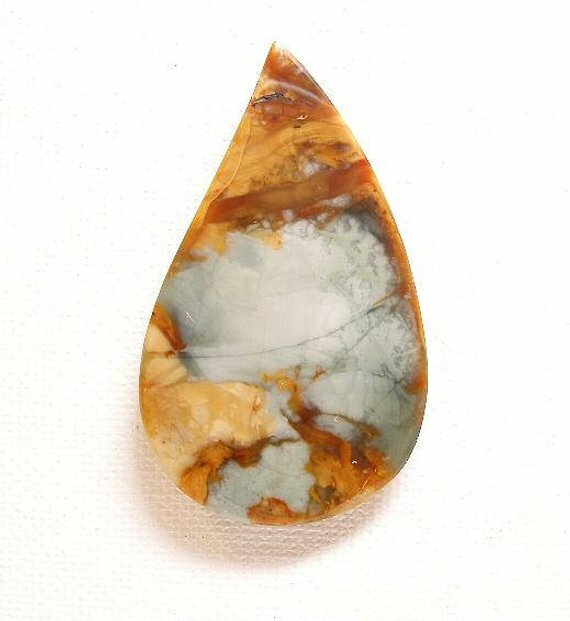 Morrisonite Picture Jasper! 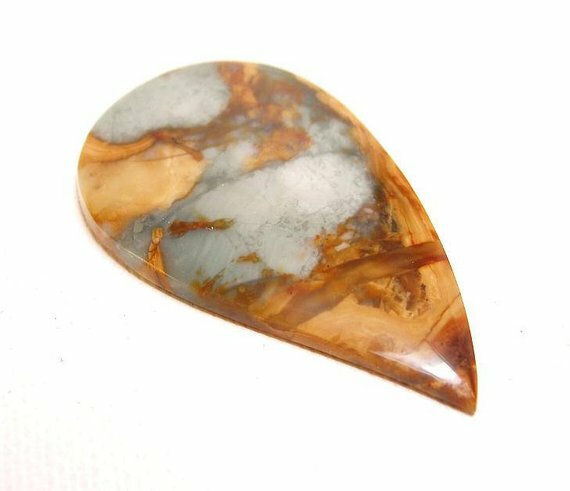 This beautifully colored collectors cabochon of Morrisonite Picture Jasper is another example of Ken’s super cutting artistry. 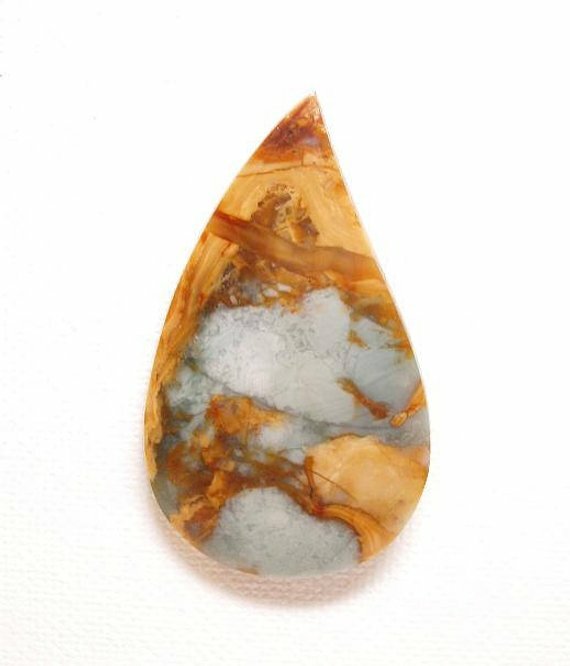 The gently curved teardrop shape accents the stained glass pattern and the exceptional sky-blue color contrasts perfectly with the honey-gold body of this wonderful jasper. 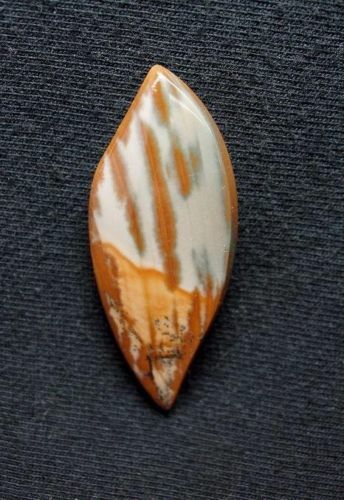 This is a beautiful cabochon and comes with the display stand shown. Especially for the discriminating collector, but equally amazing for the bold designer. 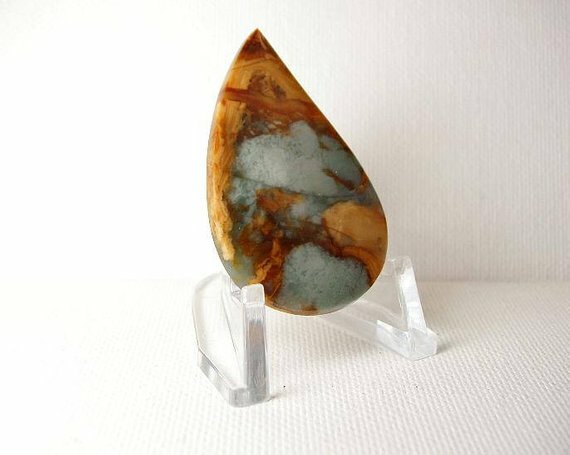 The cabochon measures approx. 50mm x 30mm x 4mm and weighs approx. 44 cts. Thank you for looking and as always, buy with confidence!